Summary : Learn Your 123s! 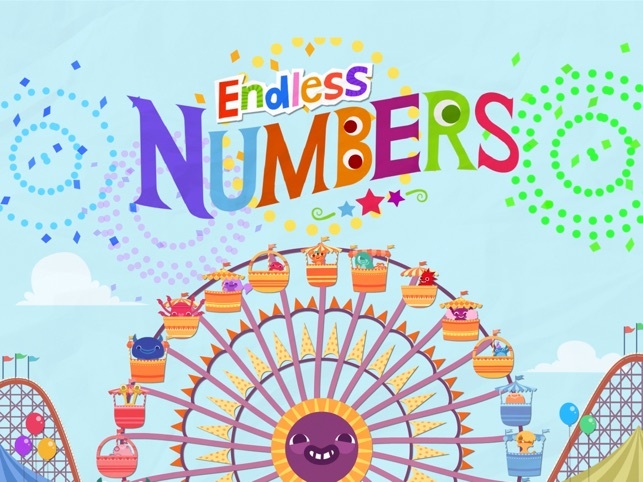 Endless Numbers is designed to support young users in learning numbers. The numbers are presented on a Ferris wheel’s gondolas and users are prompted to tap a gondola. 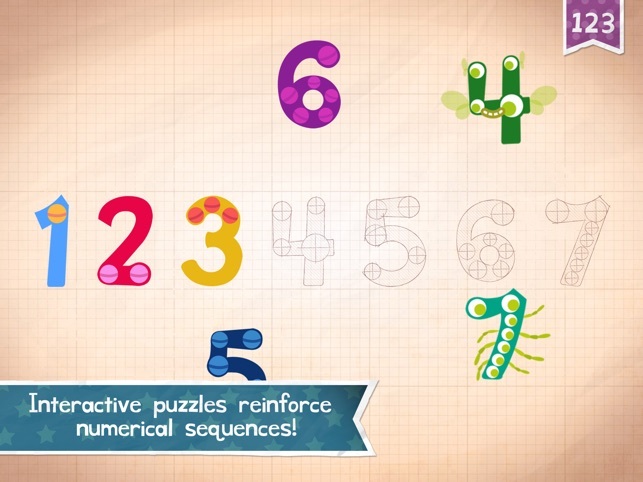 When they do, the app presents the number along with multiple interactive activities. 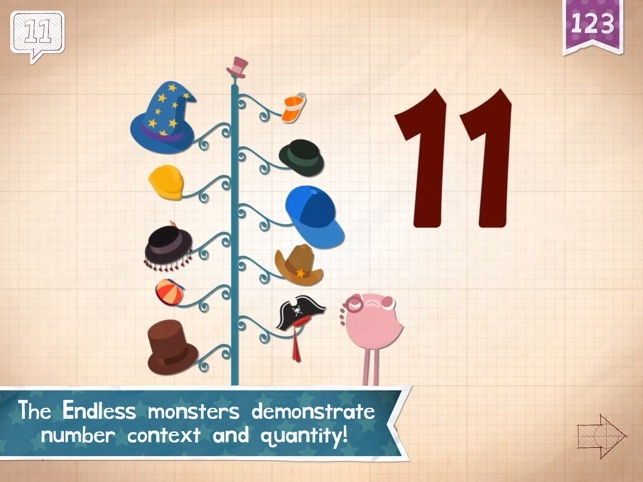 Each activity prompts users to manipulate the numbers by tapping the screen, and the app narrates these activities. After users complete all the activities for a number, they are progressed to the next. To return to the Ferris wheel, users must tap the “123” ribbon on the top right of the screen. Please Note: Only a limited amount of content can be accessed for free in this app. Users will have to make an in-app purchase to access additional content. As a way to introduce a number to students, teachers can connect their iPad to a projector and select a student to act as the activity leader. The Activity Leader will then use the iPad to complete the activities related to the number. While the Activity Leader completes the activities, classmates can watch and offer feedback and directions as needed. Once the number has been introduced, teachers can allow students to explore the number on their own iPad or the teacher can begin the lesson. 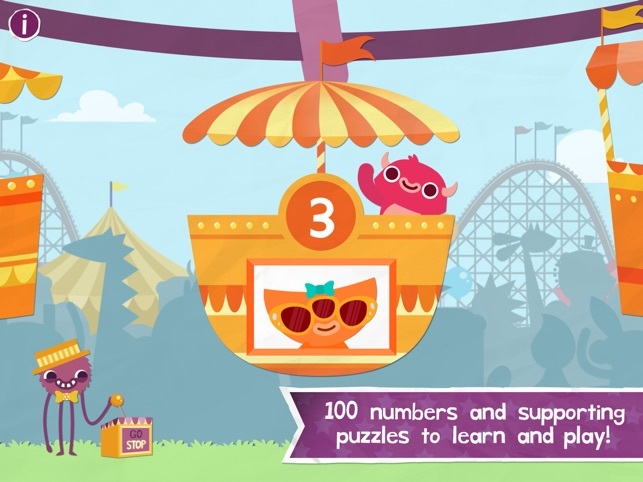 After viewing a number’s video and completing the activities associated with it, teachers can have students find that number in the classroom. For example, if the number is 2, students can find items that are in pairs, such as two chalkboards, two chairs, or two matching pens. When they do find them, students can point the objects out to their teacher, and the teacher can record their findings on the board. Following a video, students can create a Frayer Box and modify it for numbers. To do so, students can write the number in the middle of the page. Then, in the corners of the Frayer Box, students can add details about it. In the top left, students can write a series of numbers with the focus number being in the middle. For example, if the number is 5, students can write 3, 4, 5, 6, and 7. 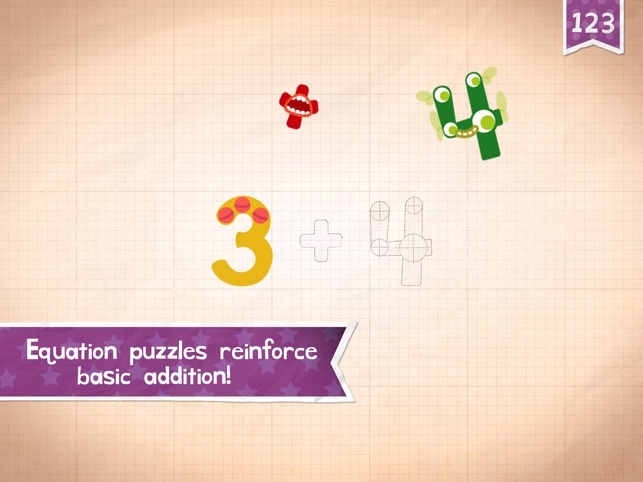 In the bottom left, students can write a simple addition problem with the number being the answer, such as 3 + 2 = 5. In the top right, students can write a simple subtraction problem with the number being the answer, such as 7 -2 = 5. Finally, in the bottom right, students can draw a picture that represents the number with an accompanying sentence that contextualizes it. For example, students can draw a picture of a pentagon and write, “A pentagon has five sides.” To celebrate students’ work, teachers can hang the finished Frayer Boxes in the classroom. After viewing a video and completing its activities, teachers can have students tell a partner what they viewed in the video and the activities they completed. PlayKids—Videos and Educational Games for Kids and Toddlers!